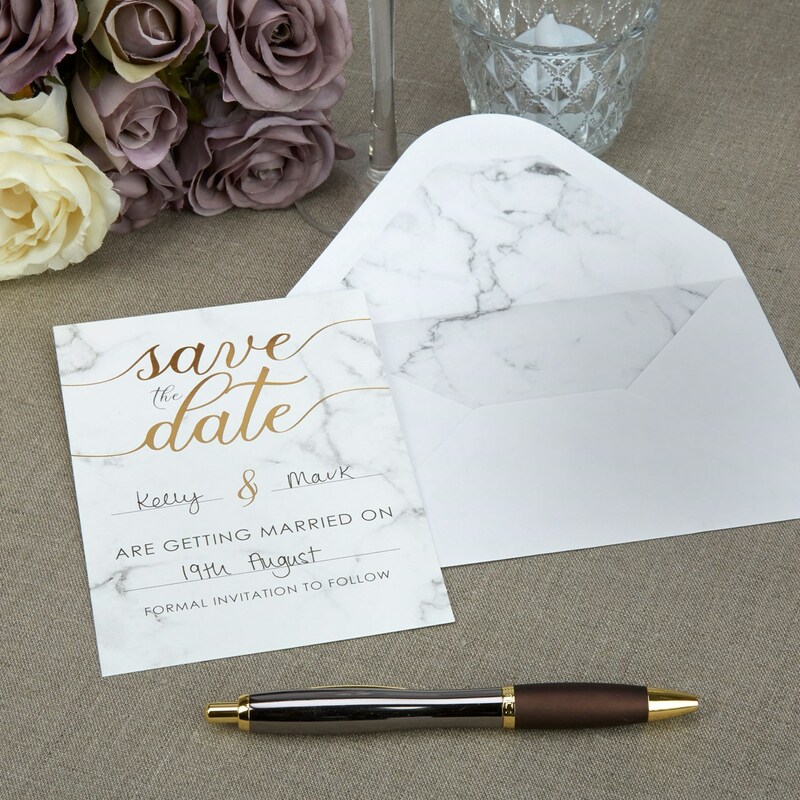 Give your guests plenty of notice with these elegant Save the Date cards from our Scripted Marble range. A chic marble effect background with smart matching envelopes. beautiful gold lettering and plenty of space for you to add your all-important details. Each pack contains 10 Cards, plus Envelopes.